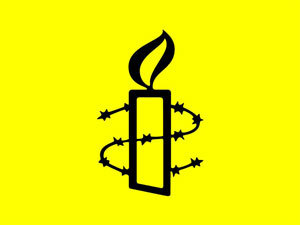 Amnesty International strongly condemns the recent execution of two prisoners in Belarus. Last week, the families of Siamion Berazhnoy and Ihar Hershankou confirmed to the Belarusian civil society organisation Human Rights Centre Viasna that they have been officially informed of the executions. Also according to information from Viasna the men were likely executed on the night of 19-20 November. The co-defendants were sentenced to death on 21 July 2017 following their conviction for the murder of six people. The Supreme Court upheld the sentences in December 2017. Both cases had been communicated to the Belarusian government by the UN Human Rights Committee which requested that the executions be put on hold while it conducted a review. As has happened in numerous previous cases, the Belarusian authorities executed both men anyway, in violation of their obligations under international human rights law. Earlier in the year, two other death row inmates are believed to have been executed. During his Supreme Court hearing in May, death row prisoner Viachaslau Sukharko declared that on the night of 15-16 May, Aliaksei Mikhalenya and Viktar Liotau had been taken away from their cells and never returned. In June, when Amnesty International asked Belarusian officials to confirm the fate of the two men, the organisation was told “we know as much as you do.” The Belarusian authorities have yet to publicly confirm the executions, revealing a continuing lack of transparency around the issue. Belarus remains the sole country in Europe and the former Soviet Union to carry out executions. The latest cases have been widely condemned by the international community including the European Union and the Council of Europe. At least two men remain on death row, Viachaslau Sukharko and Aliaksandr Zhylnikau, and they are at risk of imminent execution.